Home » Father Daughter DANCE! 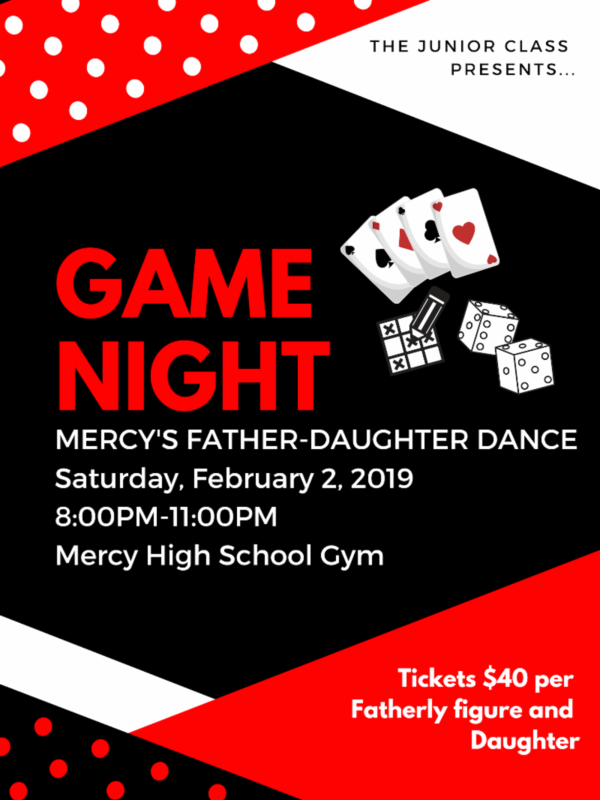 You're invited to the Mercy Father Daughter Dance! The Annual Father Daughter Dance is a time honored Mercy tradition. All Mercy students and fathers/father figures are invited to attend this historic event hosted by the Junior Class. *Includes one father, all daughters attending and processing fee. The theme for this year's dance is Game Night, so in addition to dancing, come ready to play fun and familiar games and so much more. We hope to see you Saturday, February 2nd ready to boogie!